Being able to win, seemingly at will, at card games, is a compelling - and commercial - skill to demonstrate to non-magicians. 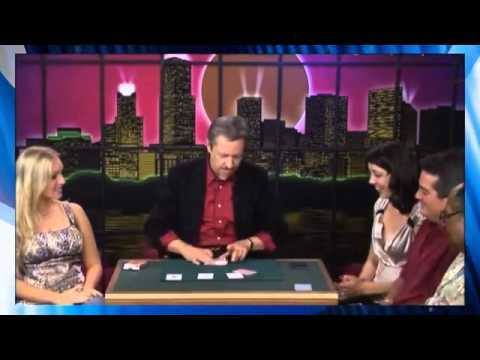 Bruce Cervon does a powerful poker routine that, despite an incredibly fair procedure of the spectators trading cards with the performer, he still ends up with the four Aces. Chicago magic legend Steve Draun follows by dealing himself a full house from a shuffled deck of cards after announcing precisely what cards his winning hand would consist of. Harry Lorayne is next with a story about what can happen when you get into a poker game in strange places. Bill Malone teaches his audience how to stack a winning hand - but still amazes them in the process. Martin Nash goes for the world deck stacking record. James Swain shows you how to magically turn a mediocre poker hand into a guaranteed winner. Paul Wilson demonstrates a classic right out of the pages of The Royal Road to Card Magic - a dead easy way to make your audiences believe they can cut to the four Aces. For more WGW DVDs click here.